Snow Accumulation is a Hazard. We know how snow can be a hassle during the winter months in Maryland, DC, and VA. That’s why we’re here. We have trucks to plow the snow away so you can get where you need to go – safely. It’s important to remove snow from your pavement as quickly as possible and to keep all pathways, sidewalks, and driveways clear. Otherwise, you risk having large amounts of melted snow seep into your pavement and freeze, causing serious damage from repeated freeze and thaw cycles. Snow removal is no easy task though, and that’s why we’re here. 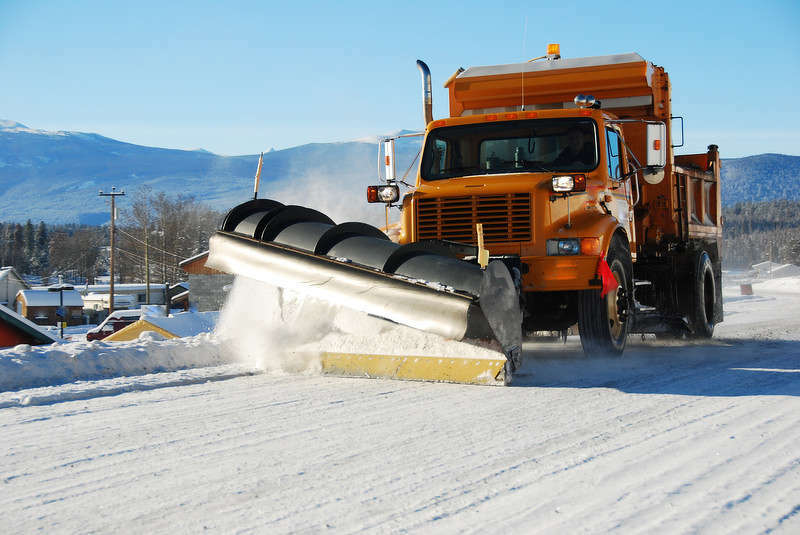 We have a team of professional snow removal experts and a fleet of trucks equipped to plow the snow away, making travel easier and safer for you and your family. As well as allowing you to avoid the hassle and get on with your daily life. Why Call MD Paving Pros? We keep your roads, driveways, parking spaces, and walkways functional, safe, and clean by hiring our licensed contractors to remove your accumulated snow. 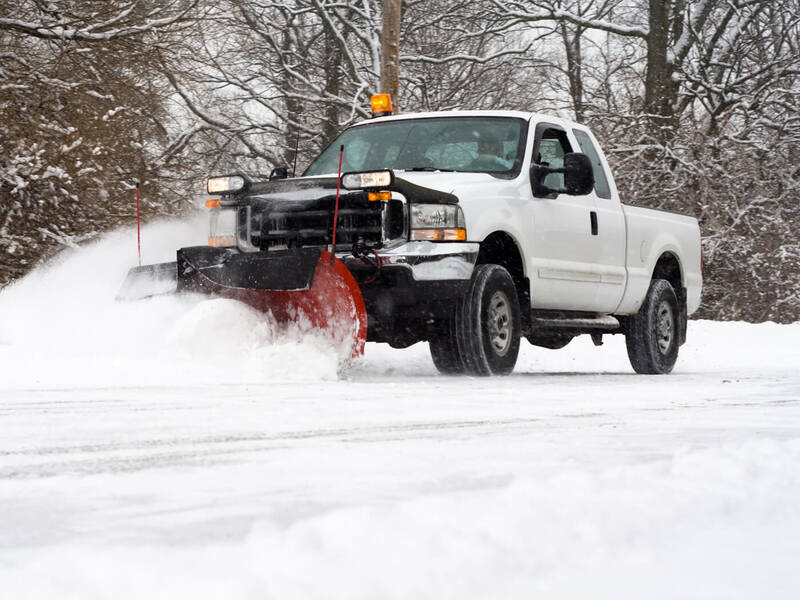 Give us a call for your snow removal needs; our experts will save you the time and energy involved with removing the snow yourself, providing you with comprehensive snow removal services and ensuring your peace of mind. You can be sure that our extensive expertise in paving makes us the most qualified contractors to care for your pavement’s needs. Our licensed snow removal drivers are well trained in safety protocol and experienced in a range of snow removal situations. We will always assess the terrain before plowing, use appropriate safety equipment, adhere to all local regulations, and complete the job thoroughly and in a timely manner. We are prepared to handle any job – no job is too big for our plows to handle. Our snow removal services are available throughout Maryland and Virginia, including all surrounding areas. Salt application is a common remedy for snow accumulation, but what many people don’t know is that regularly using large quantities of salt poses its own set of risks. Salt-related damage includes pavement cracks and corrosion, landscape damage, and harm to the local ecosystems. ​Shoveling is another common way to handle snow removal, but is probably the least favored of all methods. Shoveling snow is physically taxing, and regularly causes multiple physical injuries every year. 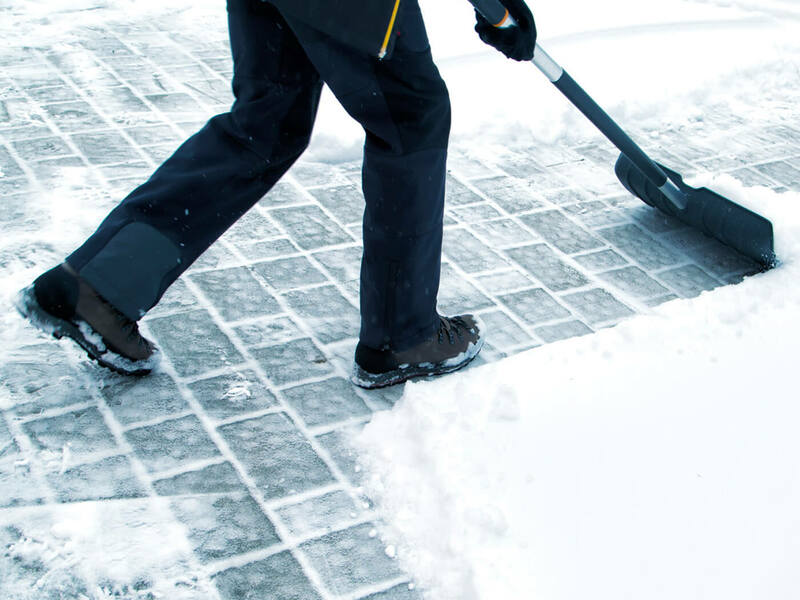 Additionally, shoveling can be damaging to your pavement, causing scrapes, chips, and scratches. 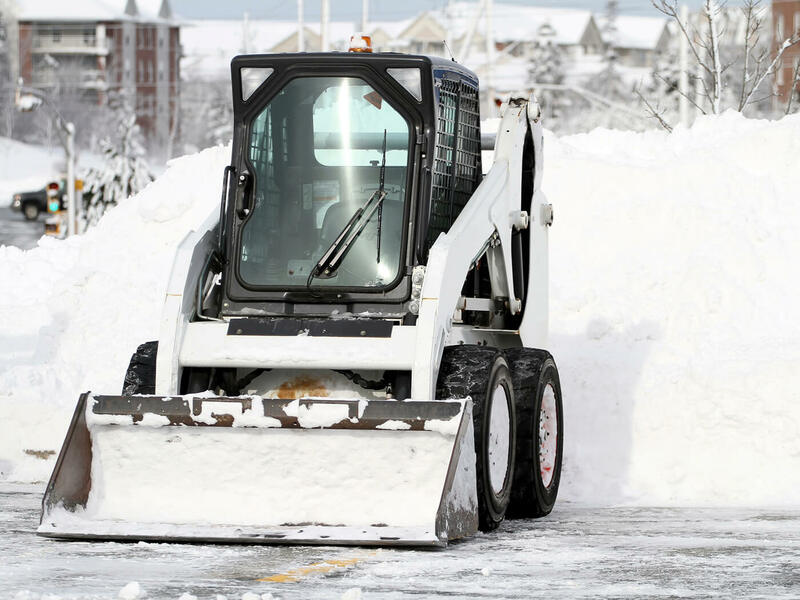 While using a snow blower to remove large areas of snow is less physically taxing and relatively harmless for your pavement, it can be impractical for larger spaces such as lengthy drives and parking lots. Clearly, the snow has to go, but the above options have a number of drawbacks. We have a solution: Call us and let our snow plows take care of the problem. Of course, you can also prevent the need for snow removal on driveways and sidewalks by installing a radiant heat system. Visit our page on heated driveways and walkways for more information on our radiant heat systems services.